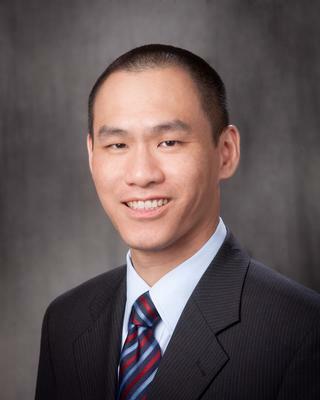 Dr. Li Man joined the University of Rochester in 2011 as the only fellowship-trained rhinologist in the Rochester area. His clinical practice uniquely focuses mainly on sinus and nasal disease. Dr. Man strives to educate his patients regarding their healthcare problems, to tailor both medical and surgical therapy to the individual, and to involve his patients' goals and worldview in a team-based, shared-decisionmaking approach to improving their health and wellbeing. He is adept at both in-office and operating room-based sinonasal procedures, and he is earnest in his attempts to minimize discomfort, side effects, and recovery time. Dr. Man's areas of clinical expertise includes the medical and surgical management of chronic sinusitis, sinonasal tumors, image-guided surgery, revision sinus surgery, endoscopic lacrimal and orbital surgery, CSF leak repair, and minimally-invasive anterior skull base surgery. He is also one of the few physicians in western New York with expertise in sialendoscopy, a minimally-invasive approach to managing disorders of the submandibular and parotid glands. He enjoys collaborating with colleagues in Allergy/Immunology, Ophthalmology, Oral and Maxillofacial Surgery, Neurosurgery, and Pulmonology to promote patients' wellness. Dr. Man has published scientific articles and written book chapters in several areas of medicine. He has taught at rhinology and sinus courses both nationally and internationally, and he enjoys preparing the next generation of otolaryngologists to be excellent physicians and healers. Dr. Li Man is a rhinologist who serves as an associate professor and the otolaryngology residency program director at the University of Rochester School of Medicine. Dr. Man is a graduate of Princeton University and subsequently completed master's degrees in Environmental Epidemiology and Policy at the London School of Hygiene & Tropical Medicine and in Public Administration at the John F. Kennedy School of Government at Harvard University. Dr. Man received his doctor of medicine degree from the University of Pennsylvania. He completed his residency training in otolaryngology at the University of Pittsburgh and pursued fellowship training in rhinology and endoscopic skull base surgery at the Texas Sinus Institute, University of Texas Medical School at Houston. Dr. Man's research interests include the use of topical therapies to enhance the management of chronic sinus disease, the use of epidemiologic and clinical databases to improve patient outcomes in the treatment of sinus disease and environmental allergies, and furthering the understanding of the sinonasal microbiome. He is also interested in investigating complementary and integrative medicine treatments for chronic sinusitis and allergic rhinitis. McCoul ED, Weinreich HM, Mulder H, Man LX, Schulz K, Shin JJ. "Health Care Utilization and Prescribing Patterns for Adult Eustachian Tube Dysfunction." Otolaryngology--head and neck surgery : official journal of American Academy of Otolaryngology-Head and Neck Surgery.. 2019 Feb 5; :194599819826959. Epub 2019 Feb 05. Lidder AK, Detwiller KY, Price CP, Kern RC, Conley DB, Shintani-Smith S, Welch KC, Chandra RK, Peters AT, Grammer LC, Man LX, Schleimer RP, Tan BK. "Evaluating metrics of responsiveness using patient-reported outcome measures in chronic rhinosinusitis." International forum of allergy & rhinology.. 2017 Feb 0; 7(2):128-134. Epub 2016 Nov 07. Merkley MA, Bice TC, Grier A, Strohl AM, Man LX, Gill SR. "The effect of antibiotics on the microbiome in acute exacerbations of chronic rhinosinusitis." International forum of allergy & rhinology.. 2015 Oct 0; 5(10):884-93. Epub 2015 Jul 30.